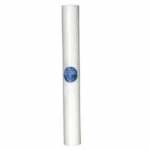 Liquatec house water filters remove contaminants to purify your water. 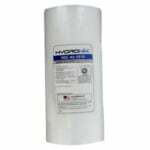 The Liquatec SDF-25-2050 is a 50 Micron Polypropylene Sediment filter used to remove fine dirt, rust, sand, sediment and silt from your water. The SDF252050 is economically priced and comparable to the Pentek PD-50-20. 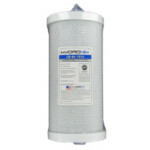 The SDF-45-1005 Sediment Filter is a 4 stage polypropylene sediment filter with a high dirt holding capacity from Liquatec. The SDF451005 is economically priced and comparable to the Pentek DGD-5005. 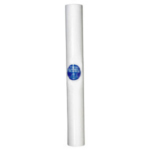 The SDF-45-1050 Sediment Filter is a 4 stage polypropylene sediment filter with a high dirt holding capacity from Liquatec. 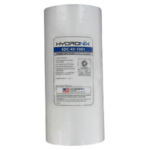 The SDF451050 is economically priced and comparable to the Pentek DGD Series Filter. 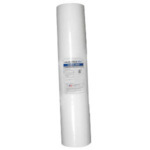 The SDF-45-1010 Sediment Filter is a 4 stage polypropylene sediment filter with a high dirt holding capacity from Liquatec. 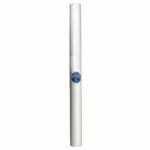 The SDF451010 is economically priced and comparable to the Pentek DGD Series Filter. 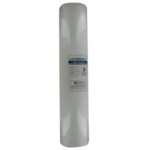 The Liquatec CB-450-975-10 Carbon Filter is composed of Coconut Shell Activated Carbon and reduces chlorine taste & odor, sediment, and certain VOC's from your water. Comparable to the Pentek NCP-BB.